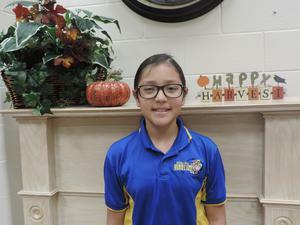 Congratulations go out to Alexia Navarro, 4th grade student in Miss Gracia's class for reaching Tiger Star Reader Status! Alexia has read 1,053,864 words this year making her our 3rd to reach this distinction! Way to go, Alexia! We are proud of you!